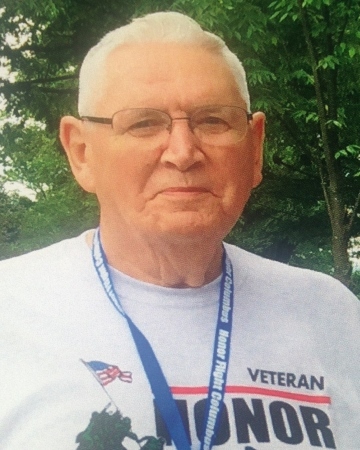 Paul A. Jones, 87, of Zanesville passed away at 5:34 P.M. Tuesday, September 25, 2018 at Genesis Hospital under Hospice care. He was born on Friday, January 9, 1931 in Perry County, Ohio the son of William and Glenna J. Roberts Jones. Paul was a proud U.S Army Veteran of the Korean War. He retired from Ohio Machinery as a diesel mechanic after 32 years of service. Former dirt track racecar driver and owner. He was a member of the VFW, Ole Zane Grey Auto Club, and American Legion. He enjoyed listening and dancing to country music. Paul was a devoted husband, father and grandfather. He is survived by his wife of 54 years, Alice Hankinson Jones; children, Kristie (Douglas) Pollock of Zanesville, Randy (Rita) Jones of Sunbury, Debbie (Charlie) Myers of New Lexington, Edgar (Sharon) Jones of Thornville Russ (Suzanne) Hull of Newark, and Teresa (Charles) Schucht of St. Clairsville; nineteen grandchildren; twenty-four great-grandchildren; two great-great grandchildren; many nieces and nephews, and many close friends. In addition to his parents Paul was preceded in death by a daughter, Sandy Jones Minnick; four brothers and eight sisters. Friends may call 2:00 to 6:00 P.M. on Friday, September 28, 2018 at the Bryan and Hardwick Funeral Home where funeral service will be held at 11:00 A.M. on Saturday, September 29, 2018 with Chaplain Tim Patton officiating. Burial will conclude following military services at the New Lexington Cemetery. Memorial contributions can be made to VFW Post 1058, 1318 Putnam Ave. Zanesville, OH 43701. The Bryan & Hardwick Funeral Home, 2318 Maple Ave. Zanesville is in charge of the arrangements. To share memories and condolences with Paul’s family please click the Tribute Wall tab on this page.